Should less inequality in education lead to a more equal income distribution? what paper Should less inequality in education lead to a more equal income distribution? In this paper, we revisit the question whether inequality in education and human capital is closely related to income inequality. Using the most popular functional forms describing the relationship between, first, output and human capital and, second, education and human capital, we find that the effect of inequality in schooling on income inequality is very low, even insignificant in an economic sense. This is confirmed by our empirical analysis, since we find that the Gini coefficient of education yields an insignificant coefficient. If we take care of the possible simultaneity using a two-stage least-squares (2SLS) analysis, we find that there is no relationship in the case of non-OECD countries, but a positive relationship is found in the case of OECD countries. Also, we cannot confirm that a more equal distribution of education leads to higher income per capita, even though this result is sensitive to the choice of data. MLA Földvári, Péter, and Bas van Leeuwen. 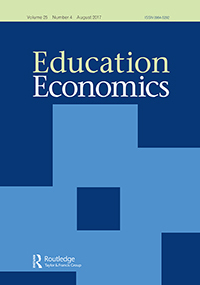 “Should less inequality in education lead to a more equal income distribution?.” Education Economics 19.5 (2011): 537-554. APA Földvári, P., & van Leeuwen, B. (2011). Should less inequality in education lead to a more equal income distribution?. Education Economics, 19(5), 537-554. Chicago Földvári, Péter, and Bas van Leeuwen. “Should less inequality in education lead to a more equal income distribution?.” Education Economics 19, no. 5 (2011): 537-554. Harvard Földvári, P. and van Leeuwen, B., 2011. Should less inequality in education lead to a more equal income distribution?. Education Economics, 19(5), pp.537-554. Vancouver Földvári P, van Leeuwen B. Should less inequality in education lead to a more equal income distribution?. Education Economics. 2011 Dec 1;19(5):537-54. 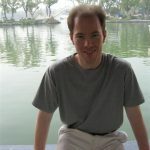 This entry was posted in 其他著作, 其他著作.已刊论文, 发表著作 and tagged Bas van Leeuwen publication, Peter Foldvari publication by HinDI. Bookmark the permalink.